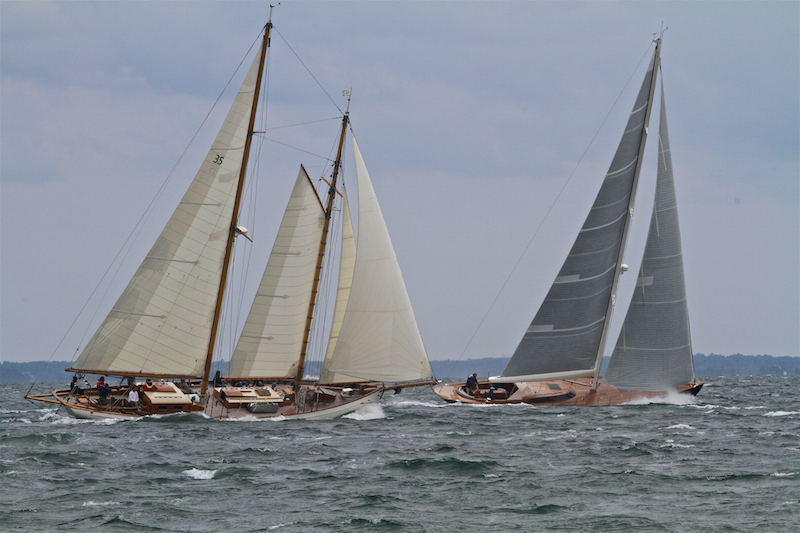 Aileen, skippered by Brian Roberts, is in the lead at the Moffett Cup, with Juno close behind. Aileen won the race with a time of two hours, 16 minutes and 18 seconds. Aileen, skippered by Brian Roberts, won a windy 41st edition of the Moffett Cup Saturday. 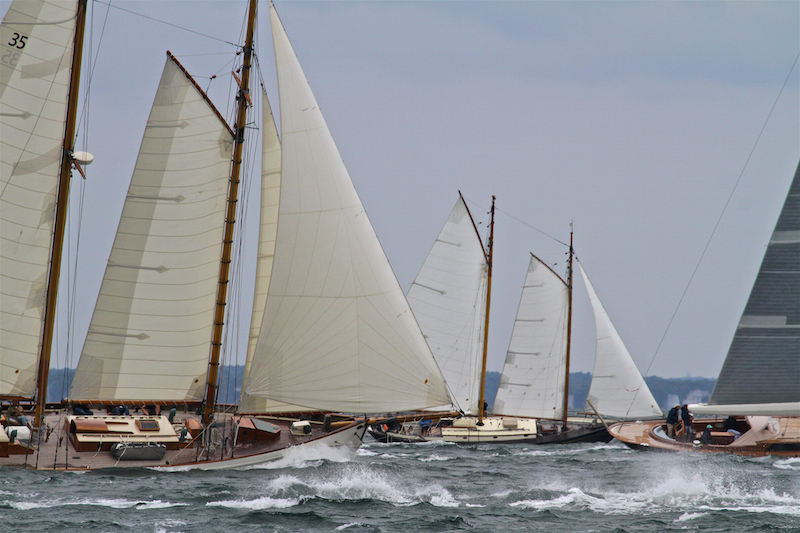 The custom Sparkman & Stevens 65-footer was best on corrected time over a course that took a fleet of 32 competitors on a long beat from East Chop to Edgartown, out to the middle of Nantucket Sound, then back to Vineyard Haven Harbor. For the first time in four years, the race was sailed under a stiff breeze, with winds from the northeast nudging 20 knots at times, according to the competitors. Aileen sailed the course in an elapsed time of two hours, 16 minutes and 18 seconds, nearly an hour faster than her nearest competitor, enough to make up for a stiff handicap over the rest of the fleet when time adjustments were applied. Aileen is new to Vineyard Haven waters this year, and her crew considered the Moffett race her first tough test under racing conditions. Rick Haslet, who was aboard for the race, said the boat performed like a dream in the stiff conditions. Holmes Hole Sailing Association commodore Mo Flam was second in the Moffett Race, less than three minutes behind the winner on corrected time. Frank Sutula skippered Soma Holiday to third place. Stephen Besse, winner of the past three Moffett Races, placed 13th this year, sailing under a heavy handicap applied to winners of the previous year. The Moffett Cup is the annual end of season race for the Holmes Hole Sailing Association, and is named for George Moffett, one of the founders of the association.